Enjoy a healthier, savory dressing by making the bread cubes yourself using your favorite home-baked GF bread or healthier brand GF bread. This recipe is always a huge hit no matter what the time of year! In fact, I often pair this dressing with some quick and easy Grilled Herb Turkey Breasts when we’re in the mood for the classic flavors of Thanksgiving without all of the fuss. Ready to Go in the Oven: Perfect stuffing (a.k.a dressing) should be moist, but not soggy. If it’s not quite moist enough add a bit more milk, toss and let is sit for a minute. Then mix and check again. Once you have the right moisture, be sure to cover the dish and bake as directed in the recipe below. Sharing delicious family recipes like this one, always reminds me that Thanksgiving is a holiday to be celebrated every day of the year! Time-Saving Tips: Make the GF croutons ahead of time and freeze them until you’re ready to use. 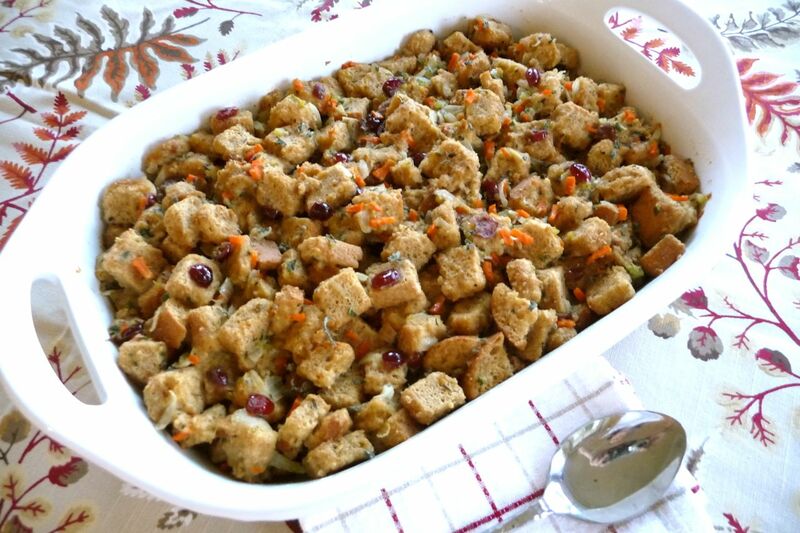 You can also prepare the veggie-broth mixture for the stuffing/dressing the day before, see recipe instructions for prep-ahead details. Many blessings to you and your family for a Happy Thanksgiving! Bake bread cubes for approximately 1-2 hours (or more), making sure to check them every 20-30 minutes, until they are dried out and firm (like a salad crouton). Preheat oven to 350 degrees. Finely dice the celery, carrot and onion and set aside in medium bowl. Pluck leaves only from fresh sage and mince, set aside two heaping tablespoons (freeze the rest for future use). Preheat large skillet to medium-high; add butter and olive oil. Immediately add celery, carrot and onion. Sauté until onion is translucent and carrot begins to soften (about 5 minutes). Add poultry seasoning, salt, pepper, sage, cranberries and broth; bring to a slight simmer. Cook about 3-5 minutes, just until cranberries begin to plump. Turn off heat and remove skillet to a cool area of stovetop. In a small bowl, add milk and eggs and whisk to combine. Slowly pour a half cup of the hot veggie-broth mixture into the milk-egg mixture while rapidly whisking (this is done to temper the milk-egg mixture, so you don’t get scrambled egg pieces). Then, slowly add the milk-egg mixture to the veggie-broth mixture while rapidly stirring. 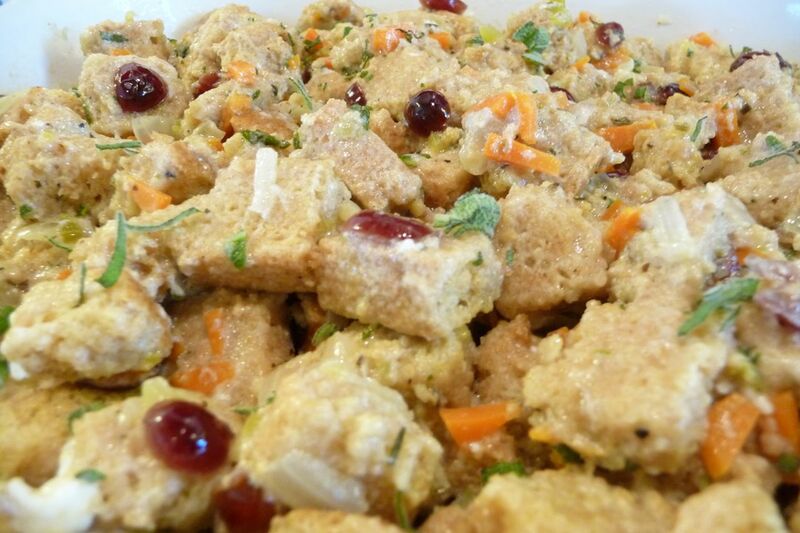 In a large bowl, add your homemade croutons (dried bread cubes) and slowly pour the veggie mixture over them. Using a rubber spatula or your hands, gently combine until bread cubes are moistened. If still dry, you can add a bit more milk or chicken stock to moisten. Add mixture to a well-oiled 9x13-inch baking dish, cover with foil and bake at 350 degrees for 20-25 minutes, until completely heated through. Remove foil and bake another 8-10 minutes, until stuffing begins to turn slightly brown on edges. Enjoy! 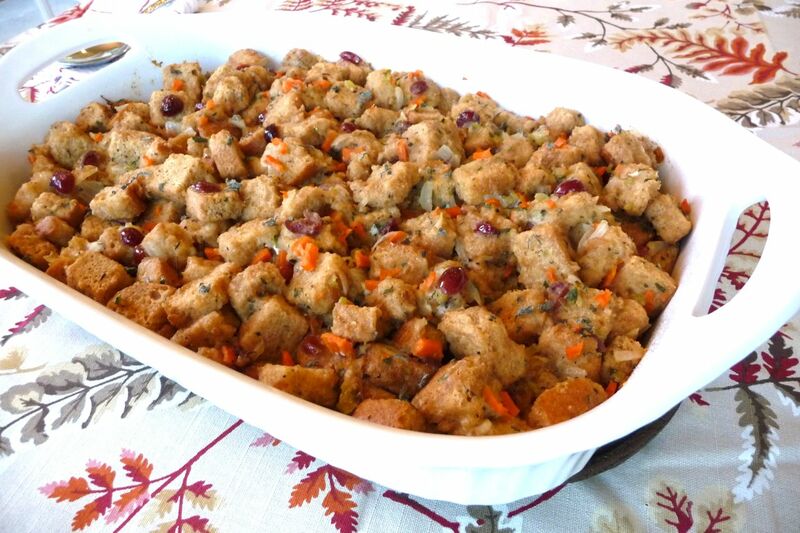 Time-Saving Tip - Make the bread cubes for the stuffing ahead of time and freeze them until ready to use. You can also make the veggie-broth mixture a day ahead of time. Just follow steps 5-8 (no need to preheat oven) and place the veggie-broth mixture into the fridge up to one day ahead of time. Then, when you're ready to make the stuffing, remove the croutons from the freezer and the veggie-broth from the fridge and allow them to come to room temp. Then follow the remaining steps to incorporate the eggs and milk, and bake as directed. Money-Saving Tip - Here's a frugal way to make croutons, simply save all of the heels from your favorite bread, making sure to place them in a big airtight bag in your freezer. Once the bag contains about 20 or so heels, let them defrost completely and then follow the baking instructions above to make croutons. This looks wonderful! Thanks, Kelly!!! This looks so good…. and sounds a lot easier to make than the traditional family dressing. Thank you for such great ideas for Thankgiving. I have a friend that needs GF alternatives at her family dinner, and she loves stuffing. She could also add some leftover GF cornbread to the bread cubes. 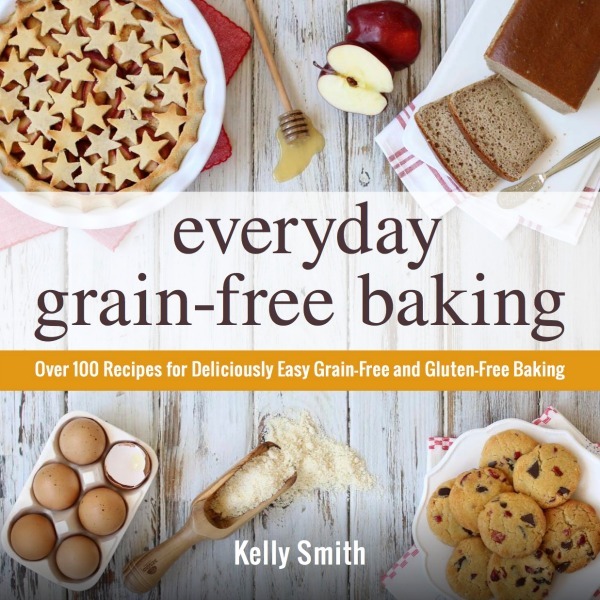 Thanks for such a great place to learn about alternatives for those with celiac challenges. Can I dry the bread in my dehydrator instead of the oven? I think it would depend on the heat capacity and type of trays. I would hesitate using slotted trays because the crumbs may drop through, making a mess. It may take less time to dry cubes because there would less water in bread than in veggies, fruit and meats, so you may have to check more frequently to see if it has dried thoroughly. Is it possible to use a dehydrator to dry the bread cubes instead of the oven? Would using vegetable stock alter the taste too much? My brother-in-law is coming for Thanksgiving and he is vegetarian and won’t eat anything made with meat or meat products. Thanks so much for all your wonderful recipes!! When you say “You can also prepare the stuffing/dressing the day before – don’t cook it, just refrigerate.” What exactly do you mean? Prepare up to the egg mixing part? Or after? Wouldn’t the croutons get extremely soggy and mushy if refrigerated overnight?